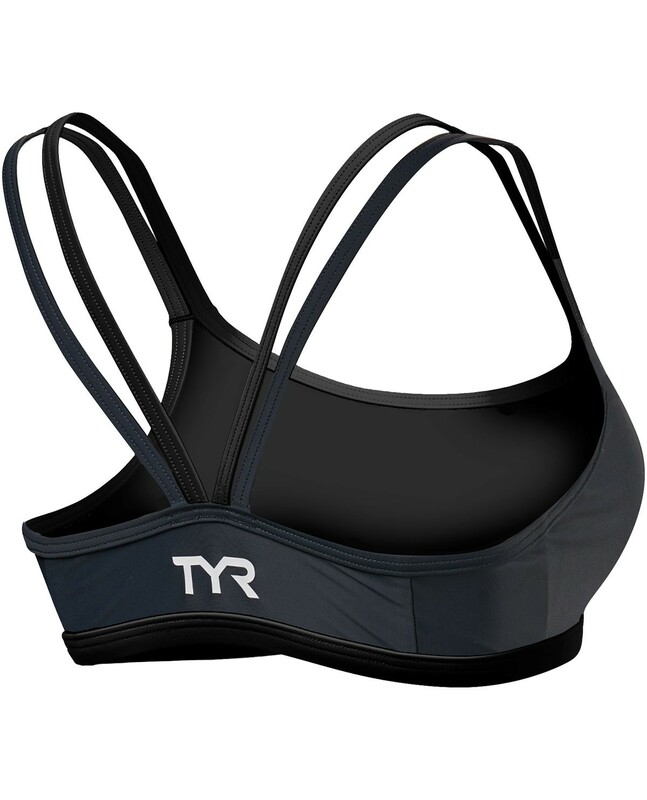 Dominate the disciplines in the TYR Women's Competitor Thin Strap Tri Bra. Constructed from our advanced Competitor woven technology, the BCOTF6A offers stretch, recovery and durability. Equipped with specialized compression webbing for increased blood flow and maximized muscle performance, this sports bra exceeds the bounds of apparel. In addition to lightweight, quick-drying and ultra breathable fabric, this product is comfortable, fully lined and includes UPF 50+ protection. To cater to different needs and budgets , TYR engineers two triathlon lines. Competitor garments offer a compressive fit, while carbon garments offer a super compressive fit for a second-skin feel. You should select your same, standards size for both carbon and competitor garments but expect slightly different fits. Good quality and very comfortable. Colour is nice! Happy with the product. Great bra I think. Wore it on a run and will wear it under my trisuit for my next tri. Runs small, though. Very tight. I'm 5'9'' and 140 lbs and it's almost TOO tight. But it'll do. Feels great though. Love this bra but would recommend ordering a size up. It fits "short" in length. Q: Is this bra padded?